Firstly congratulations to all our athletes that have raced this month, there have been some terrific performances. It’s been our biggest month of racing yet. What I’ve loved seeing this month is the way some of you have bounced back from previous subpar race performances. As much as we celebrate the highs, there will always be lows for athletes who fall short of their expectations. There certainly isn’t a guarantee of a personal best at every race so it’s important you keep digging to deep to find them. One thing that was clear to me as an athlete many years ago is some of my most difficult and disappointing races were the ones I learned the most from. They gave me a new perspective of where I was lacking and what needed to be done. They also they also provided me with the fire in my belly to go back time and time again to prove to myself what I knew I was really capable of. So if you are riding a great high from racing, keep riding it for all its worth. It will be a glorious time where anything seems possible. But if you feel like you’ve yet to deliver, be patient and realistically manage your expectations based on the training you have done. The performance will be there and waiting for you at some point, you just need to keep evolving from race to race. The path you take might not always seem clear during this time but just remember everything happens for a reason. I’ve seen some of the greatest performances come of the back of some of the biggest disappointments; you just have to keep believing. Denmark provided the stunning location for this years European triathlon championships. 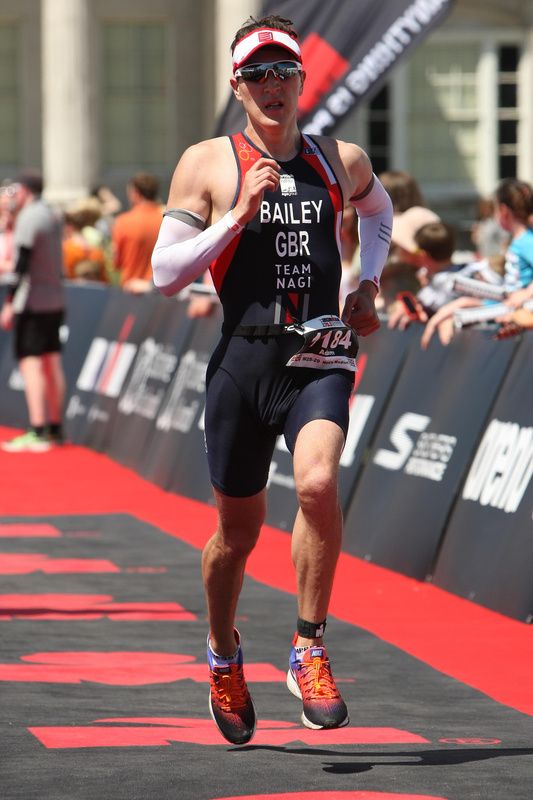 Team Nagi’s Adam Bailey qualified to race for Team GB for the second year running. He put in a terrific performance that saw him move up to 11th place this year compared to 24th place in 2016. Great work Adam. 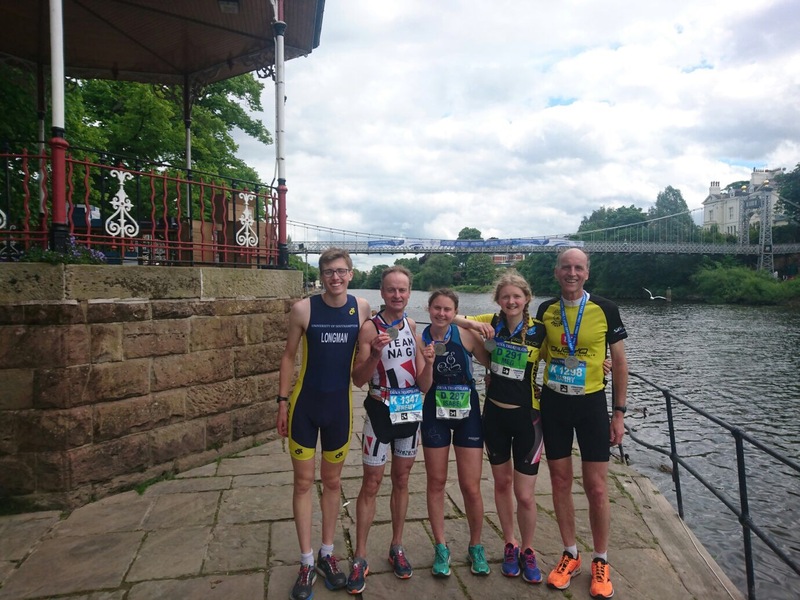 There were also some terrific top 10 performances at Ironman UK 70.3 in Staffordshire. Robert Drake hit the podium yet again with a terrific 3rd place finish. 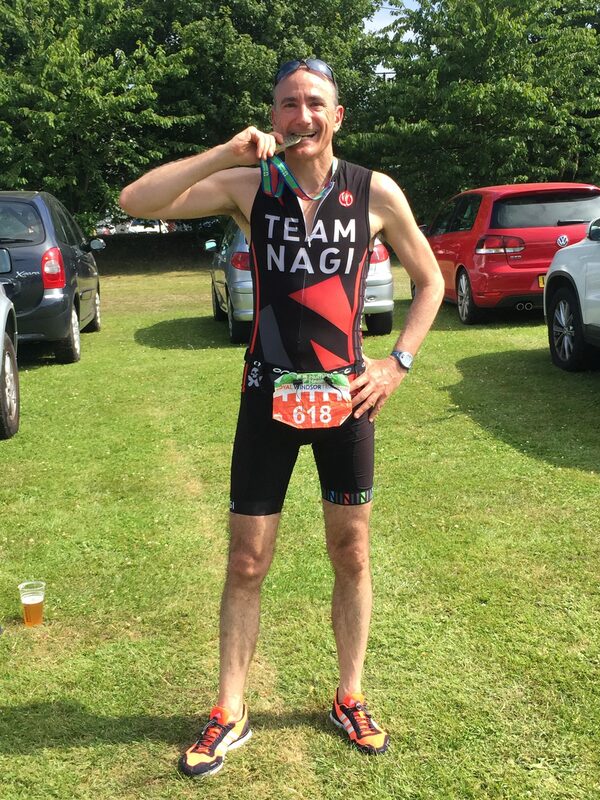 Huge congratulations to Chris O’Neill who also completed his first ever Half Ironman. 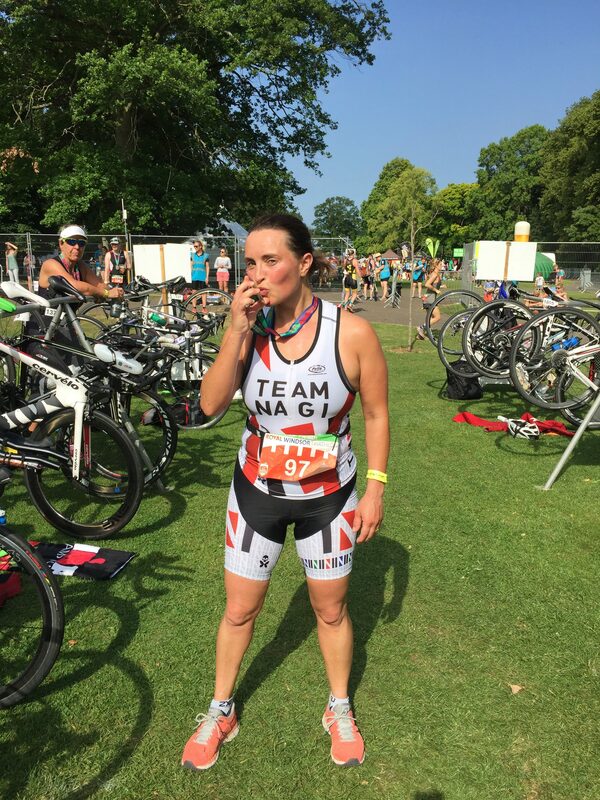 – Philippa Markou (45-49) 2:48:00 (25:35 swim / 1:15:17 bike / 58:46 run ) 10th in category. A truly gutsy performance from this little firecracker. Good on you PM! 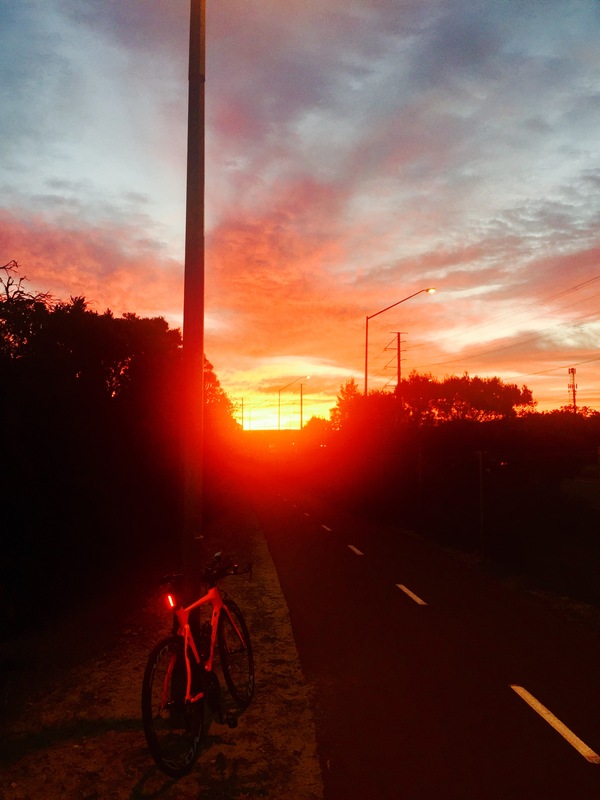 From the land down under, an orange bike riding into an orange sunset. Just need to order the new orange Team Nagi kit to complete the set eh Loughers? 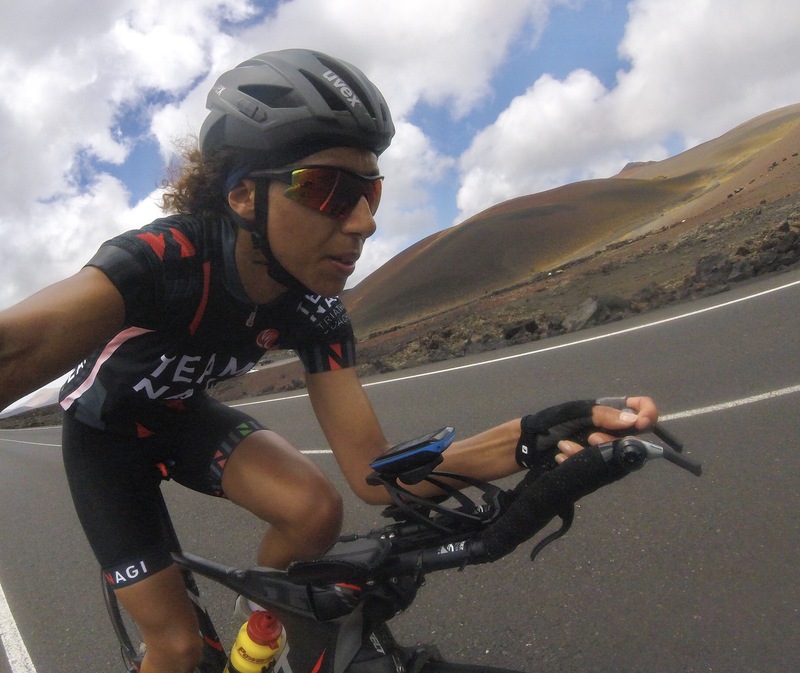 Any session on the bike outdoors (preferably in a warm climate!). Or a swim session with lots of paddle work. Big gear, high intensity sessions on the turbo. Despite knowing the training benefit it gives, I just can’t ever bring myself to enjoy them! Very dependent on the session! My playlists for long turbo sessions mainly consist of epic 80s and 90s tunes. And when indoor bike sessions with really big efforts are involved I have a playlist full of techno/electronic dance music. Weirdly can’t listen to music when out running though – even on long aerobic sessions I find it too distracting. Plus I’m a bit too much of a liability to not be able to hear my surroundings! The London Olympic pool early morning, when its most empty. Or the London canal towpaths. I love the fact you can run for miles and miles without having to stop for any traffic or cross any roads. How was your training build up to Challenge Salou? Pretty good in the grand scheme of things! I found winter training this year fairly grueling, and definitely had swings in motivation (and a constant underlying level of grumpiness with the cold and dark mornings!). But as the cold started to thaw out my head started to clear in training and everything started to consolidate and feel a lot more positive leading up to Challenge Salou. I had a couple of pretty long and intense weeks of work about a month out from this race, which meant having to scale back on training a bit, but I think in a way dealing with this actually helped as I learnt to focus on good food intake and prioritising sleep, which I’ve been known to neglect in the past! What were your race goals? I’ve managed to push myself physically and mentally harder than ever before in training, so my number one goal was to carry this new found mental resilience into my race, and get the absolute best out of myself on the day. 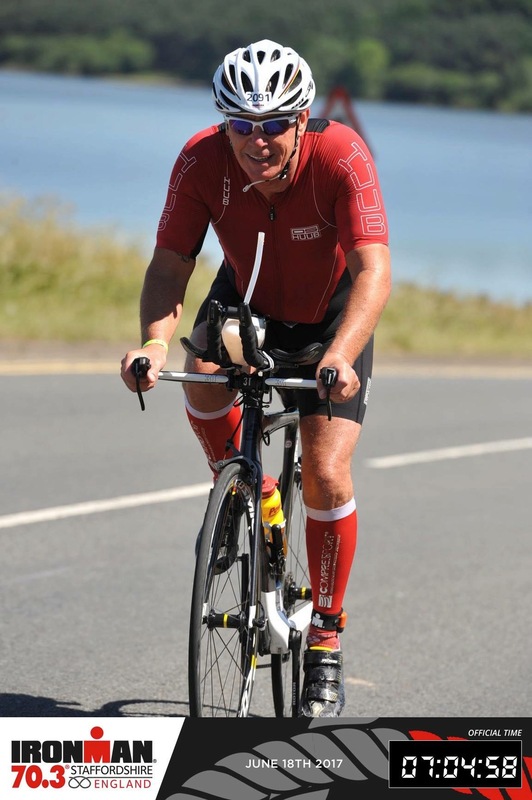 I was excited to see how hard I could go on the bike, having had a big bike focus over the winter, and was so very desperate to have a strong run off the bike, as this is where I have tended to fall apart in previous races. I was also really gunning for a podium position! Still some way off that elusive ‘perfect’ race, but I’m really pleased with the way I executed the race as a whole. I had a bit of a disappointing swim which I don’t think reflects the gains I’ve made in my swimming. The bike was strong but slightly conservative and I rounded it all off with a run where I gave it my all and that I’m finally proud of! I was a bit surprised as to how great I felt right to the end, and this has given me a good confidence boost to take forward into future races, knowing I can bury myself even deeper. 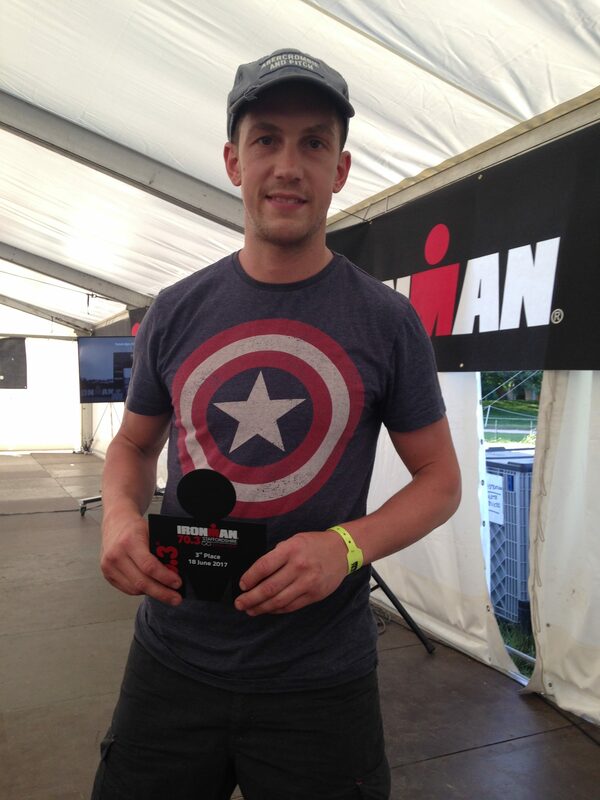 Coming away with an Age Group win was a definite bonus! What are the key elements you’ve put in place to move to that next level this year with 2 back to back wins? In a nutshell,I’ve come into this season with a completely different mindset to last year. On paper it seems like quite a step change, whereas in reality I’ve slowly been chipping away at all the different elements that were previously holding me back. I’ve learnt that I can push really really hard through training fatigue and as a result have no fear going into any training sessions or races over how it’s going to feel. I’ve also learnt to take total control over my mind and I’d like to think I’m starting to get pretty good at blocking out pain! 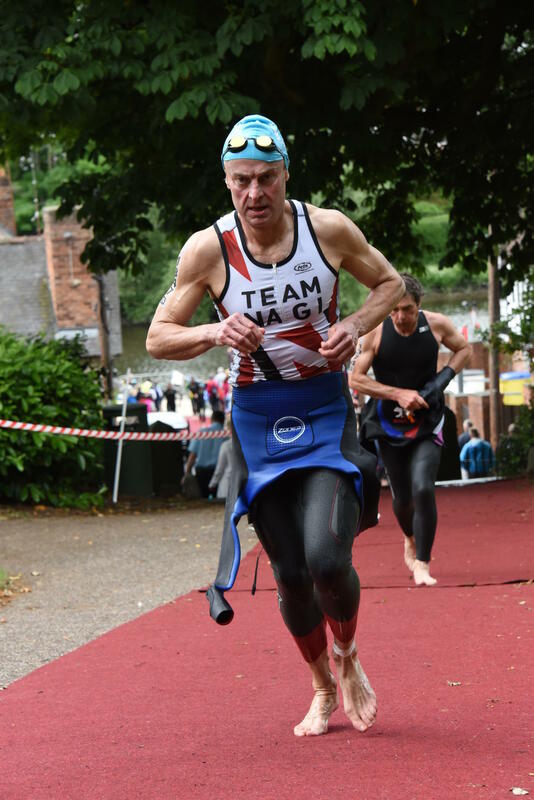 I’m looking forward to a few UK based local races up next, including the Outlaw Holkham Half and then some shorter distance stuff as I build up to the 70.3 World Champs in Chattanooga!